Following Roberto Martinez’s sacking, there has been a multitude of names thrown into the mix for his vacant position. Ronald Koeman, Frank de Boer and Unai Emery are some of the men that have excited Blues in the past couple of weeks (some have terrified too – a certain ginger Scot comes to mind), but one name that has drawn raised eyebrows and negativity is the outgoing Manchester City manager, Manuel Pellegrini. Concerns about Pellegrini are understandable. Manchester City only just scraped 4th place this season ahead of their Manchester rivals and his transfer policy has been questionable – the signings of Wilfried Bony, Jesus Navas and Raheem Sterling have caused frustration among City fans. Some have also charged him with one of Mr Martinez’s key flaws – having no ‘Plan B’. All these criticisms have substance, but my feeling is the Chilean has been underrated by our fanbase and has the abilities to take Everton on in the coming years. Many have overlooked the obvious highlights of Pellegrini’s career – he has won the Premier League, two domestic cups, garnered the 5th best win percentage in Premier League history, and as manager of Real Madrid, he led them to a club record 96 points – only missing out on the title due to the brilliance of Pep Guardiola’s treble winning side. Add this to his titles in South America and good stints at Malaga and Villarreal, and he has all the credentials needed to qualify him to be Everton manager. All of the concerns about Pellegrini can easily be rebuked. In terms of transfer policy, Everton are exploring the Director of Football model, so although he would certainly have a say on transfers, other stakeholders would be able to vet the selections and ensure a sound set of targets. In addition, the grumbles about his playing style and tactics are unfounded – Manchester City have been the highest scorers in the league in each of Pellegrini’s 3 seasons with good defensive records to boot. Unlike Roberto Martinez’s Everton, Pellgrini’s City never massively underachieved – they averaged a trophy every season under his tenure and secured their Champions League status. 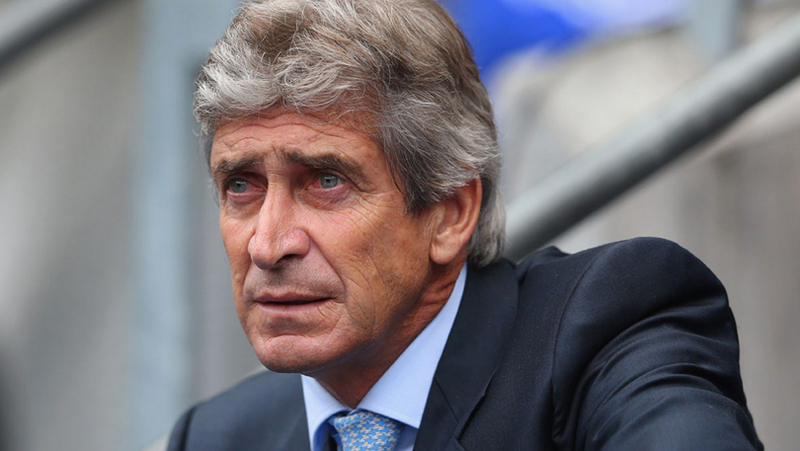 At the age of 62, Pellegrini won’t be a long term appointment. But given a squad capable of achieving it, there is no doubt that he could bring Everton back to European competition in the 3-4 seasons he would have. After the influx of hugely talented managers to the league over the past couple of seasons – Guardiola, Conte, Mourinho, Pochettino, Koeman – Everton can’t be left behind with a risky appointment of the Martinez ilk. We know what Pellegrini will get us: goals, a good league position and a trophy. In the absence of a truly outstanding candidate, I can’t see a better man for the job than Pellegrini. He has Premier League experience, trophies, and a track record of delivering what is expected. After two years of underachievement, some consistency and calmness is just what Everton need. Pellegrini would bring that, and if given the players, he has proven he is capable of taking Everton to the next level. If I’ve failed to convince any Evertonians reading this, then consider the following: he isn’t David Moyes. Absolutely nuts that Everton fans are turning their noses up at Pello, without a doubt in my mind unfortunately no outstanding candidate wants the Everton job at this time, the fact that some Everton fans thought mourinho was a possibility is bonkers and that’s not to say Everton aren’t worthy of Mourinho and my comments as a whole are not suggesting Everton are not a big club or anything because you are, but in terms of football right now it is not going to happen, manuel is perfect for Everton right now a calming influence amongst what could be a massive transition for your club so I say get a grip show some eagerness for pello to sign up and it might happen and as a city fan for many years watching mediocre managers coming and going you can tell the difference between a David Moyes and a pellegrini.